That little tea drinking tinker Lee, has been brewing a little guest post for me. Just before Christmas I was sent some wonderful tea from Williamson Tea, and I knew just the girl to put it through its paces. She's fond of a cuppa, and quite frankly has expensive taste. This is what she thought. 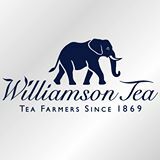 I am a firm believer that there isn't much that a cup of tea can't fix, so when Rachel asked if I fancied reviewing some Williamson Tea I popped the kettle on and got to it! The first thing I must say is that the festive themed caddy that the tea bags arrived in is absolutely beautiful. 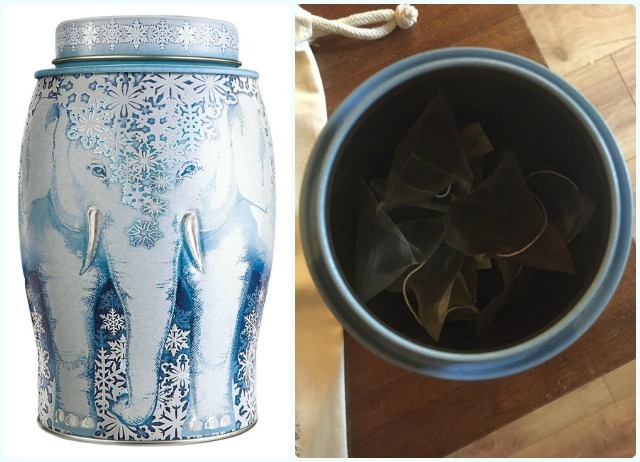 All the caddies have elephants on them and are different patterns depending on the tea inside. 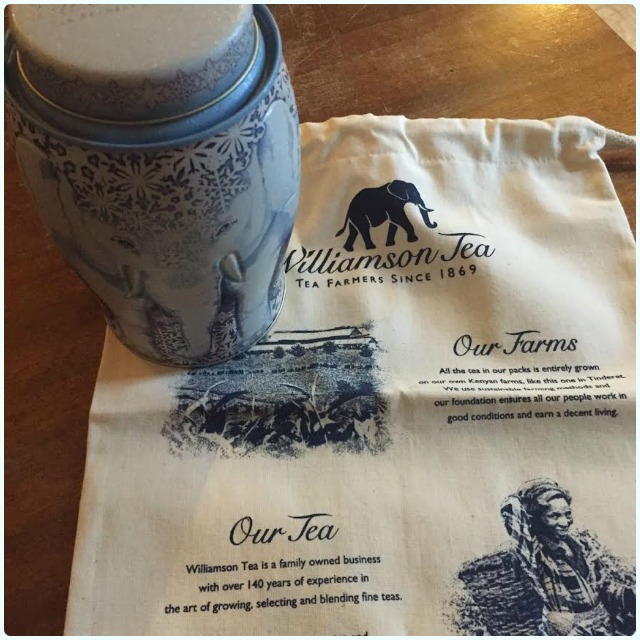 This is a nod to the fact that The Williamson Tea Foundation supports the David Sheldrick Wildlife Trust, with £1 from the sale of each caddy donated to help protect elephants in the wild. I also loved that the tea comes with details of where it was grown and how its journey has brought it here to me in sunny North Manchester. Now, onto the tea itself. The caddy I received was the Snowflake caddy, packed to the brim with Kenyan Earth loose leaf bags. These are Williamson Tea's take on the classic English breakfast. I take my tea without milk and can happily report that these strong and full bodied bags make a cracking brew, which was perfect on its own, but equally with a splash of lemon juice. My boyfriend does take milk in his tea and confirmed it was equally delicious served this way. I have now pointed him back to his own tea bags; I don't share my posh tea! A lovely brew made by a lovely company who pride themselves on being environmentally responsible whilst providing excellent products. Cheers Williamson... now which caddy shall I order next...? 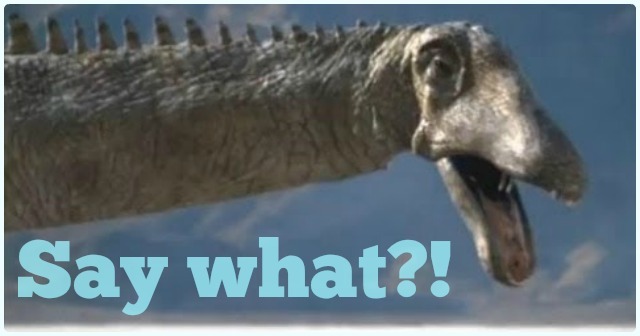 I adore dinosaurs. When my brother and I were kids, we loved going to the shop at Bolton Museum to collect figurines of our favourites. We were obsessed with the original Japanese Godzilla films too, which were so badly dubbed, it was genuinely funny! No other bugger watched them, so they stuck them on channel four at about 3am. We had quite a 'recorded from the telly' VHS collection. 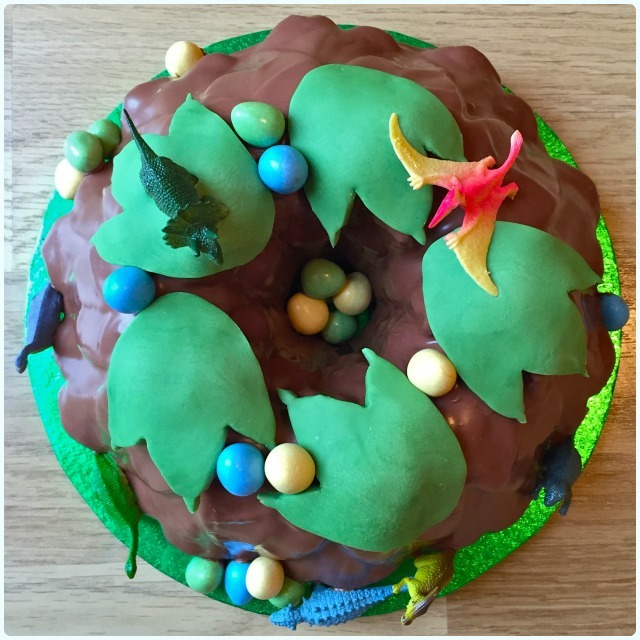 Ages ago, I bought a little bag of plastic dinosaurs, knowing full well that they would make it onto a cake. I had no idea when or indeed why, but I knew it had to happen. Cue Sam. Sam is my mate Emma's son. He's a pretty cool kid, and bloody loves a massive lizard, just like me! 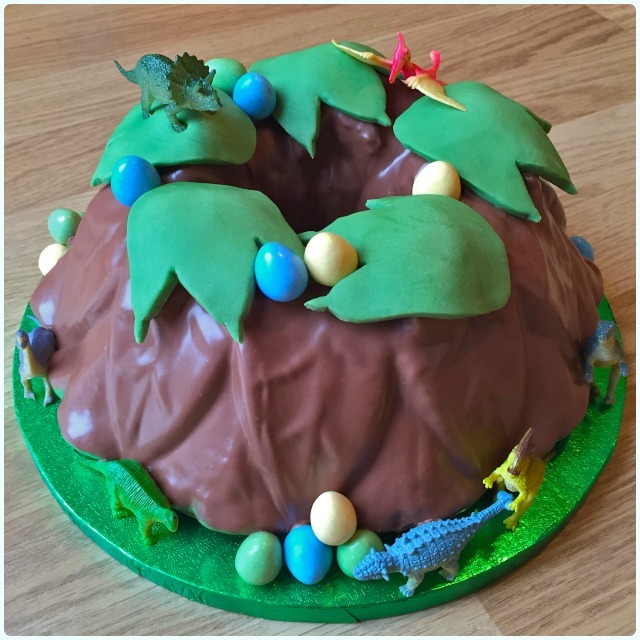 Em and I decided that a dinosaur cake was required, and she trusted my mental imagination to come up with the goods (don't worry, she's met me before...). Big question though - nothing to do with the cake... Diplodocus. When did Dip-lo-do-cus become Dip-lod-er-cus? Then there are some bozos throwing Dip-lo-dock-us into the mix. Huh? Terrible. 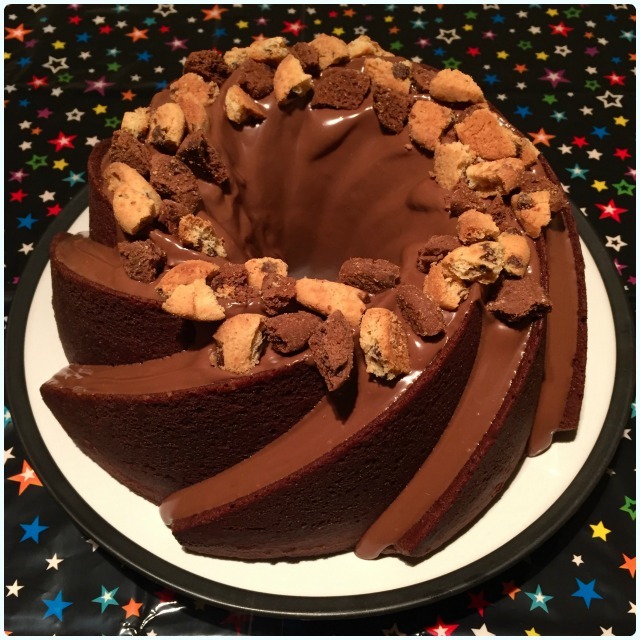 Anyway, this is just a rich chocolate bundt with crackers decorations, so you could just make it sans dinosaurs... if you want... fool. Anyway, here's how to make one! Stir in the chocolate chips and chocolate spread. When the cake is fully cool, pop the chocolate spread into a jug and heat in the microwave to loosen it. Tip over your cake and decorate with bits of cookie! I decorated mine with green sugar paste cut into footprints, chocolate eggs, and of course, plastic dinosaurs! I love a challenge. One of my friends needed something chocolatey to take to a New Year's Eve Party, which would be suitable for adults and kids alike. So off I trot for a wander round Tesco for some inspiration. I happened across the packets of mini chocolate chip cookies, and was sold on the idea of sticking them in a bundt. This is a densely chocolatey cake with the exact taste of cookies, made even more wonderful by being covered in chocolate. It's dead easy and will get you maximum brownie points from the chocoholics in the room. Stir in the crushed cookies, chocolate chips and chocolate spread.